WAIST HIGH: Kajagoogoo Are Back! The Kajagoogoo community needs our help getting one of the world’s most beloved new wave bands back into the UK charts! 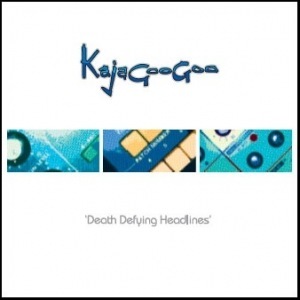 From kajagoogoo.com: The track "Death Defying Headlines" comes from the band’s Death Defying Headlines EP and is a beautiful example of the modern Kajagoogoo sound. With some gentle persuasion from KajaFax, the band have agreed to release the track as a single. This is the first single to be released from the complete five piece band in 28 years! The promo video and all of the information about how to support the band and download the track can be found here.